The 6’1” x 9’1” Heriz from India. This carpet has a rust field and navy border. It is woven with .. The 8’ 10” x 12’ 1” Serabend from India. This classic repeating boteh or paisley design with a mean.. The size 2’2” x 3’7” Abadeh from Iran. This Abedeh has an ivory field with red corner brackets and .. The 2’8” x 4’ Silk Ghoum from Iran. This beautifully made all silk carpet has a delicately wove.. The size 4’ 7” x 6’ 10” Kashan from Iran. This all over design Kashan has an ivory field and .. The size 3’ 4” x 5’ Gabbeh from Pakistan. This causal style of rug was one that weavers used to mak.. Size 4'0"x6'0" DHURRY Rug from India.. Size 4'2" x 6'3" Herati Wool Rug from India. This is a very high-grade rug that is one of the best m.. The size 3’ 5” x 5’ Kashkouli from Iran. This Iranian made rug is woven using handspun wool and nat.. The 8’1” x 10’1” Kashan from India. With accent colors of sage and a dark olive green, rose, ca.. Size 3'6"x5'1" SAROUK Rug from Iran..
How Long Does it Take to Weave a Rug? 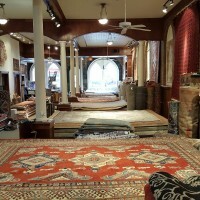 The first widespread interest in Oriental rugs in the United States occurred after World War I, in the 1920's. There was a great deal of money made as the US industrialized before the War, and even more as businesses geared up for war production (these were the days before a personal income tax!). At the end of WW I it became fashionable for wealthy Americans to make "the grand tour"--to go by steamship to Europe and spend several months seeing all the sights. When Americans returned, newly cultured (!?) from such a trip, many built new homes or significantly expanded older homes, incorporating design and decorating ideas they had seen in Europe. 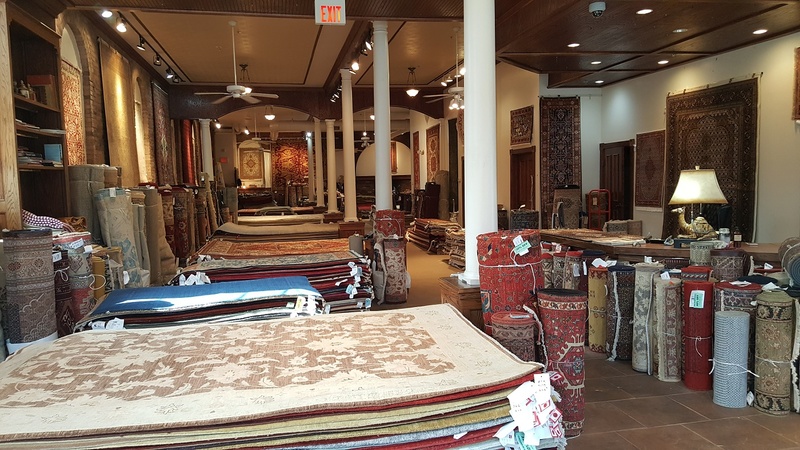 Many Americans brought back furnishings (among them Oriental rugs) for their fancy new homes. 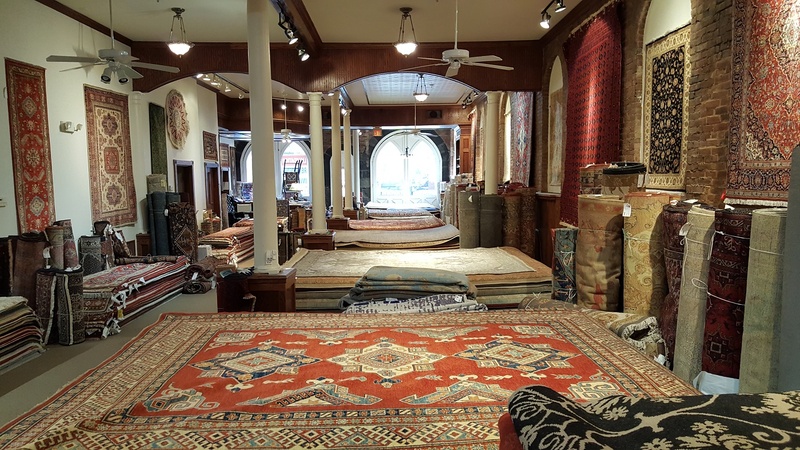 For hundreds of years in Europe (since the 1600's), the Oriental rug business worked through pickers or agents selecting rugs in weaving countries like Turkey and Persia (Modern Iran), and sending the selected carpets to dealers in England, Germany, France, and Italy. 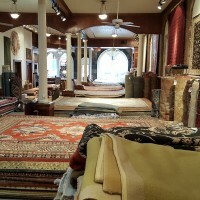 For hundreds of years there was a large stock of old rugs available in Turkey and Persia. People rarely wore hard-soled shoes indoors in these countries, and repair and cleaning services for handmade rugs were available everywhere for almost no money. It was easy and cheap to keep older rugs in good condition, and as a result rugs lasted a long time. Rugs accumulated in the households of people who by western standards were otherwise quite poor. 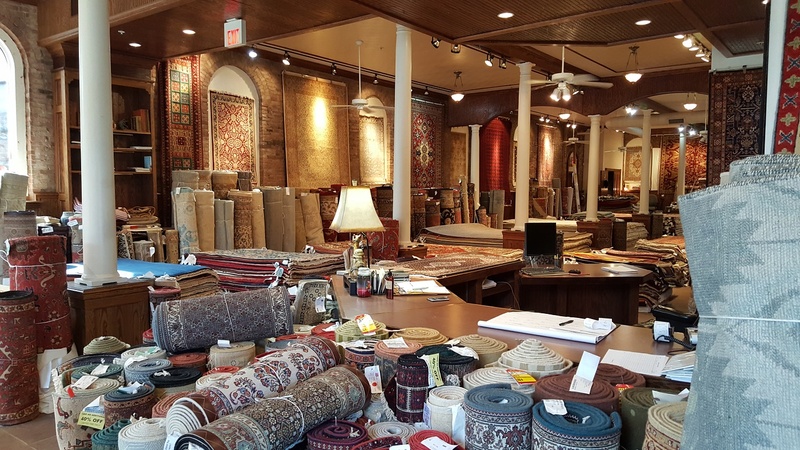 Thus the European agent or rug picker could come into a village in Turkey or Iran and offer an amount of cash money that was modest by European standards for an old rug, but which was a literal fortune to the rug's owner. 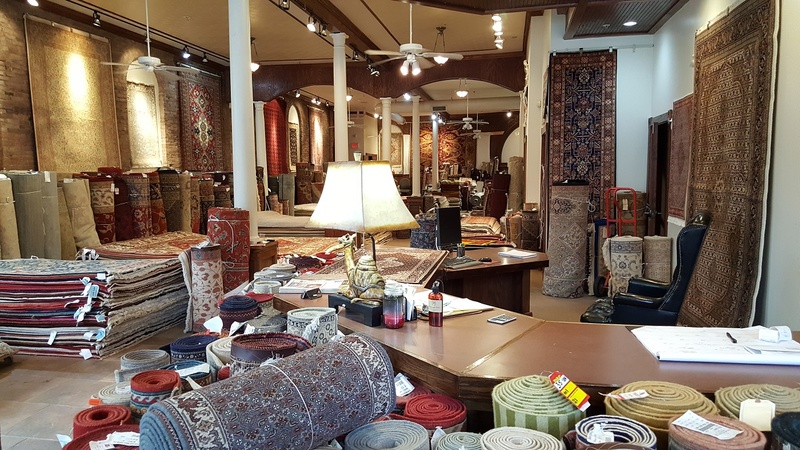 For generations most of the flow of Oriental rugs to Europe consisted of choice, old carpets, and European dealers and their customers became accustomed to and preferred the softer contrast, muted colors, and quieter general appearance of old rugs. Suddenly, however, there came the influx of American rug buyers in the 1920's. 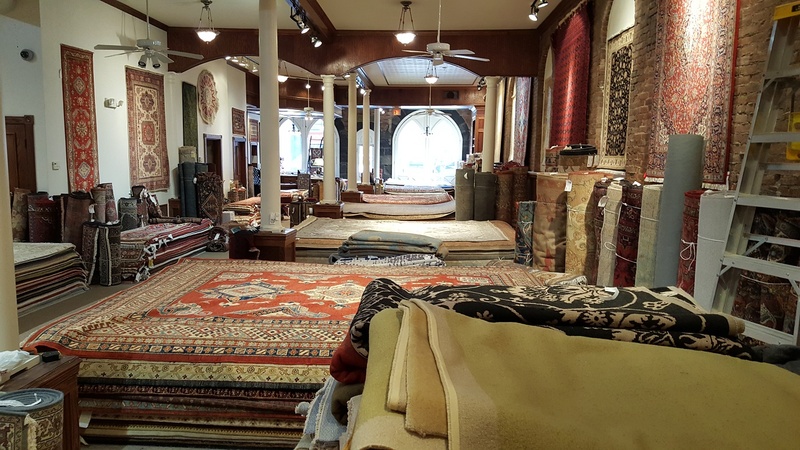 It turned out that the supply of old rugs in Turkey and Persia was not inexhaustable, and dealers became afraid that when the supply of old rugs ran out, customers would not accept the brighter, sharper look of new rugs. Hence there developed several schemes to make new rugs look like old rugs. The most widespread of these efforts happened in New York and New Jersey. There were workshops set up to chemically bleach new rugs so the colors were softened. This is the "washing" part of the washed and painted process. It is very difficult to bleach vat dyed wool (household chlorine bleach isn't nearly strong enough). Processes were developed using very active chemicals, including even gaseous fluorine (really wicked and dangerous stuff--no EPA in those days!). 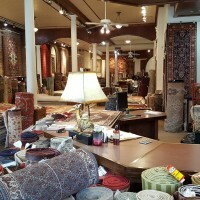 The problem was that Oriental rugs were woven with many different color tones. A heavy chemical wash that lightened the very dark colors in the rug would almost wash out completely the lighter colors in the design. So, there was developed the "painting" part of the process. After the rugs were chemically washed, they were laid out on large worktables and selectively re-dyed. A big carboy of aniline dye was connected by a rubber tube to a pen made of a piece of glass tubing drawn to a small opening, and equipped with an on-off valve. 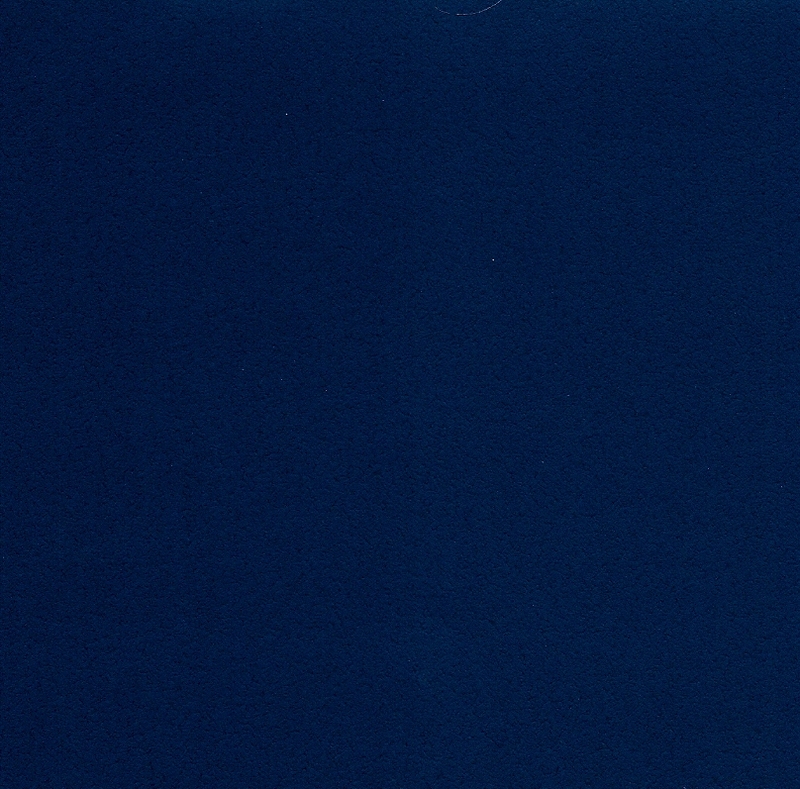 The worker turned on the pen, and then stippled in the dye wherever the appropriate color was required. 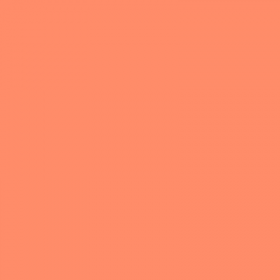 Most often only two or three colors were painted in: usually a particular shade of purpleish red, medium sky blue, and navy. Because this labor (even at 1920's labor rates) cost money, only the face of the rug and not the back was painted. After the rug was washed and painted, it was sometimes given a glycerin or paraffin treatment to make the wool look shiny (the rug was hotwaxed). 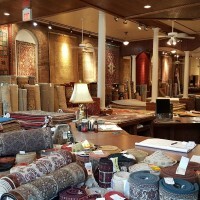 When all this work was finished, the dealer had an instant old rug that could be mixed into his stock or sold as a complement to the old rugs a customer already owned. The washing and painting process added to the cost of an Oriental rug, but at the same time made the rug more saleable. Thus, washed and painted rugs always sold for more money than unwashed rugs. The problem was that in several ways the customer got less value in the washed and painted rug. The chemical washing process lightened the colors in the rug, but it also removed some of the natural lanolin and oils from the wool, and so made the wool (and the rug) less durable. The applied dye was just painted in cold, and was sometimes not as colorfast as a vat dyed color would have been. There is also an aesthetic complaint. If the dealer wanted to, he could literally change the field color of a rug in the washing and painting process. After the rug was recolored, the weaver might not even recognize his own rug! The real problem was that if left unwashed, the new rug would age naturally to become a softer, more muted antique. Short-circuiting the process by washing and painting produced a rug that cost more, wore more quickly, and was worth less in the end. When the rug was chemically washed, both the front and back of the rug were lightened... but when the rug was painted, only the front was colored. 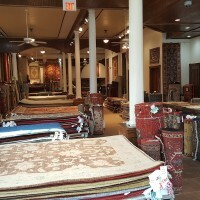 Thus, washed and painted rugs are usually lighter in color on the back than on the front. 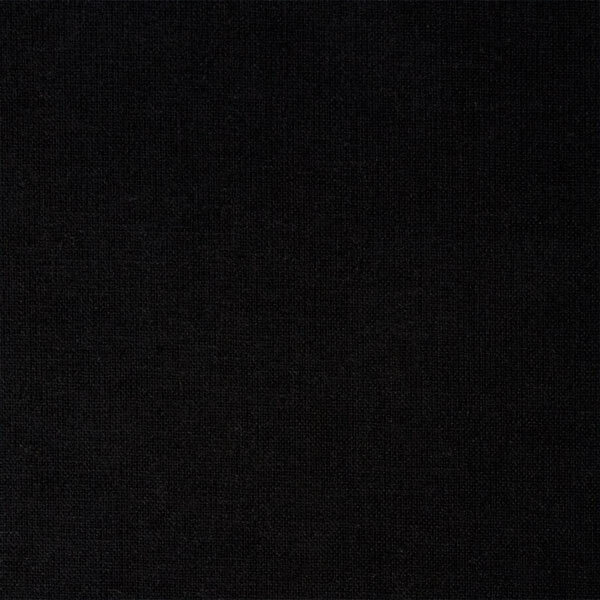 This is the reverse of a normal fading process, where the back of the rug would never be exposed to the daylight that might fade the face of the rug. These two characteristics are the clearest indicators of a washed and painted Oriental rug. Have any of your carpets had this treatment?